Front print heavyweight translucent film with a high gloss, scratch resistant surface, a fast drying coating and a light diffusing back coat for illumination. 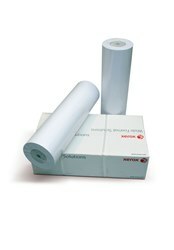 Xerox backlit film (front print) is compatible with Solvent, Eco Solvent, Latex and UV Curable printing. Ideal for photo-realistic displays where some degree of back illumination will boost appearance.